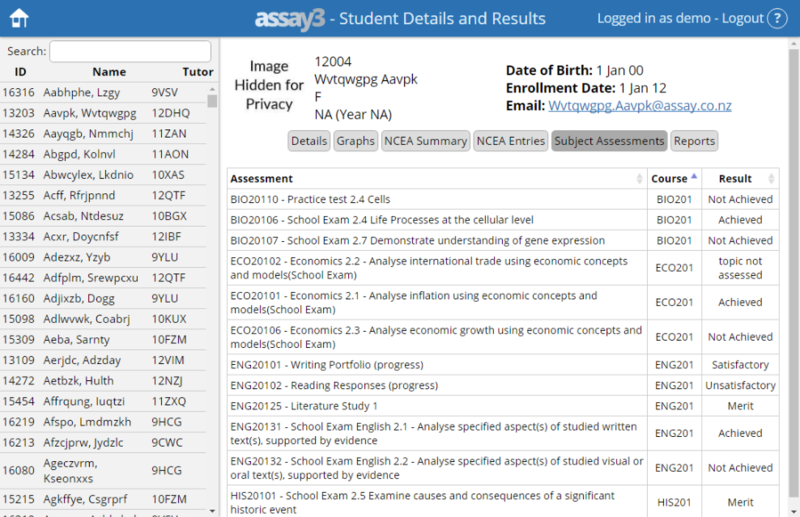 Search for students using the search box and then click on the student that you want to view. The view above shows all of the credits she has gained so far this year (and off to the right shows the credits she gained in 2015. In BIO201 she has passed 10 credits with Merit, in ENG201 she has passed 6 credits with Achieved and 3 credits with Merit. 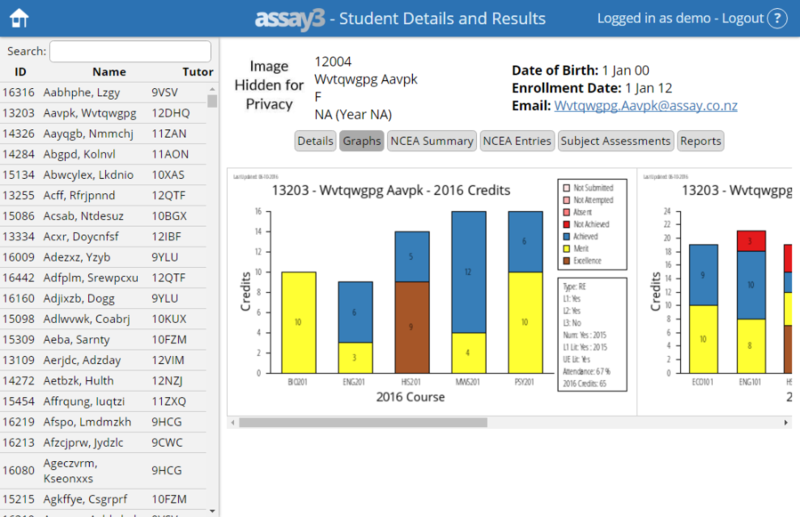 The box on the right of this graph, shows; that she is a regular student (RE), she has passed Level 1 and Level 2, she has all her Numeracy and Literacy, her attendance is 67% and she has passed 65 credits so far this year. The details pane above shows all the students details as well as the details for her caregivers. Under the heading Email, there are links to easily contact her teachers and her caregivers. 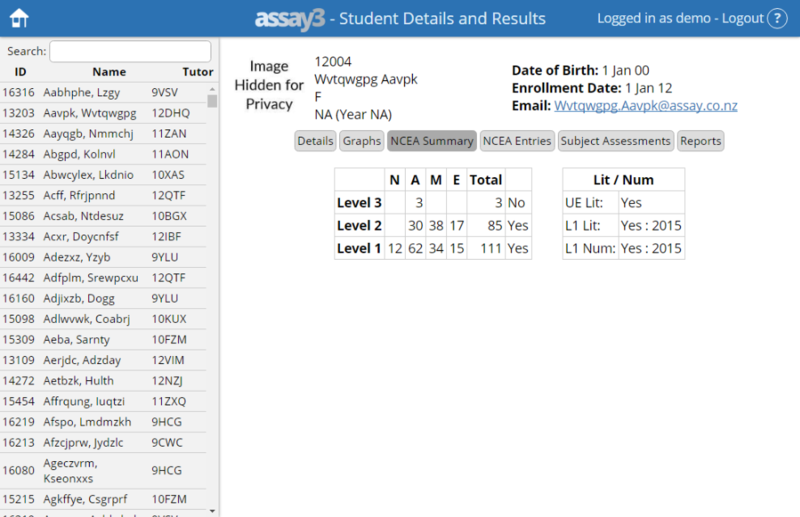 Above shows how many credits the student has gained at each NCEA level and her Literacy and Numeracy status. 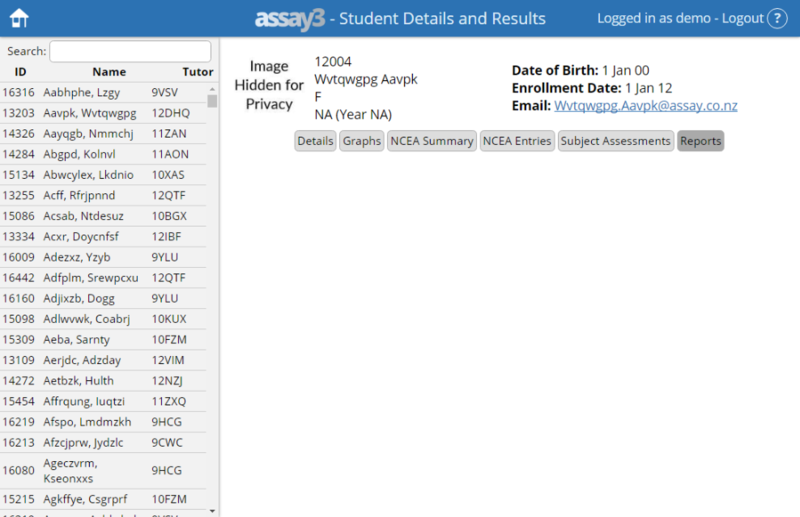 Above shows all of the students NCEA entries and the results that she has received for them. 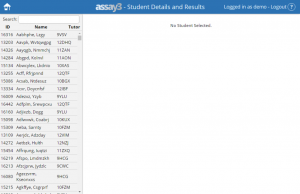 The table can be sorted by clicking on any of the titles. By default it is sorted by course. 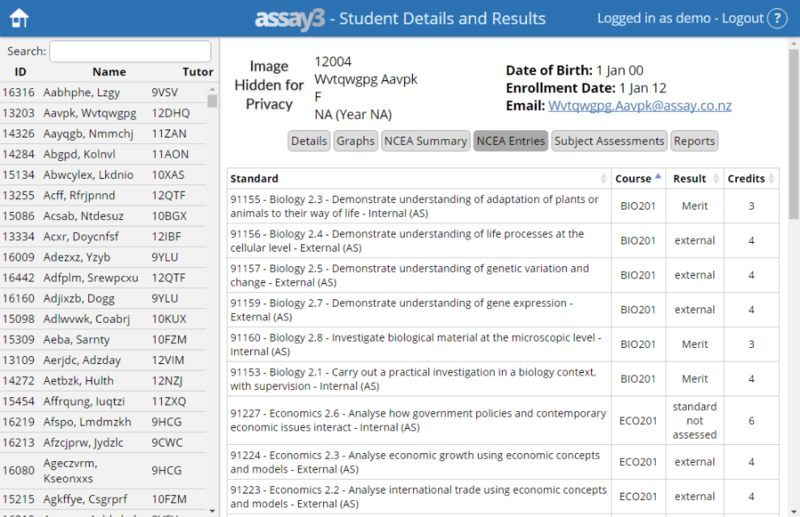 This displays the same sort of information as the previous view, but for subject or school based assessments rather than for NCEA standards. 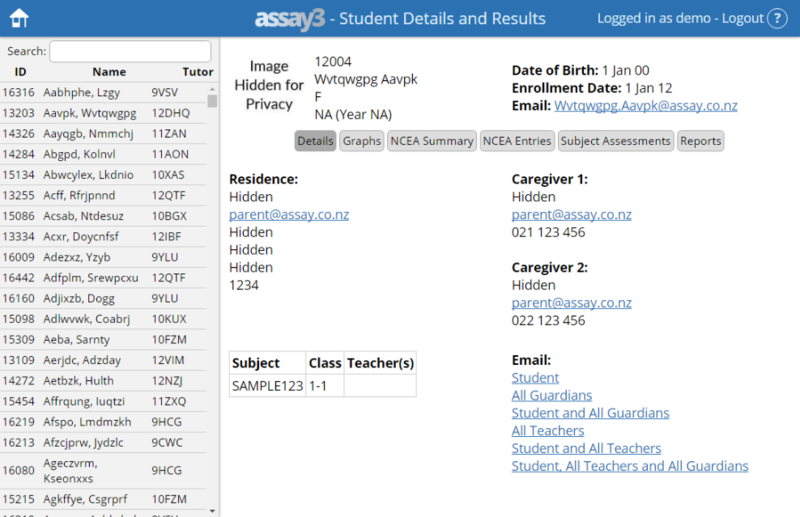 If this set up on the same server as your parent portal, you can view all of the reports for the student by clicking on the links (in the screenshot above there are no links as the demo server is not hosted on the same server as the parent portal).